The Carters commissioned a number of South Africans to be part of their mammoth production. 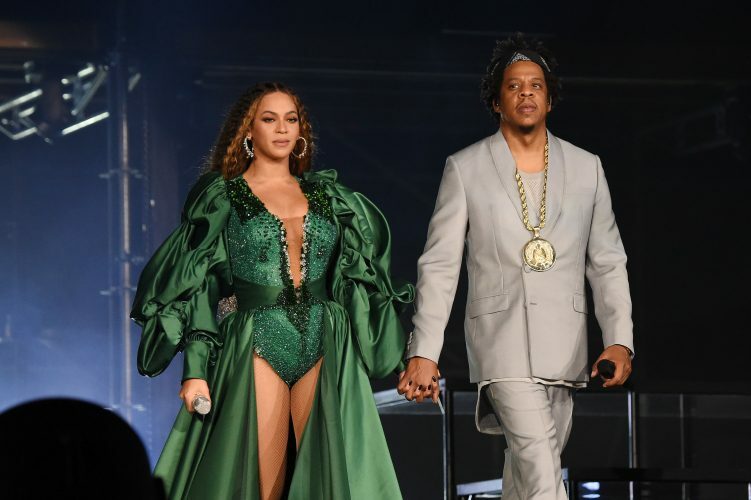 As fans continue to bask in the emotions of finally getting to see global megastar Beyoncé perform live alongside her husband, Jay Z, details of the immense production they put on last night have emerged. Among said details is the fact that she wore a number of local designs for her set – one of which was designed by one half of design duo Quiteria & George. Made up of Quiteria Kekana and George Malelu, the brand began back in 2009 when the pair met each other at Mpumalanga Fashion Week. Quiteria and George The Journey Image ???? They have since become one of the country’s most acclaimed designers and they remain a firm favourite on red carpets, having dressed celebrities such as Dineo Moeketsi, Enhle Maphumulo, and Thando Thabethe. 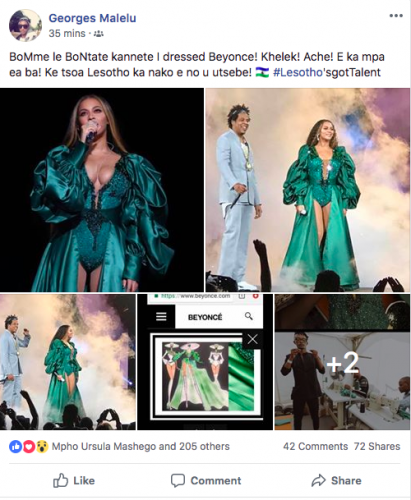 Lesotho-born, South African-based designer Georges Malelu took to Facebook to share his pride over having designed the look Beyoncé wore for their closing performance of Forever Young. 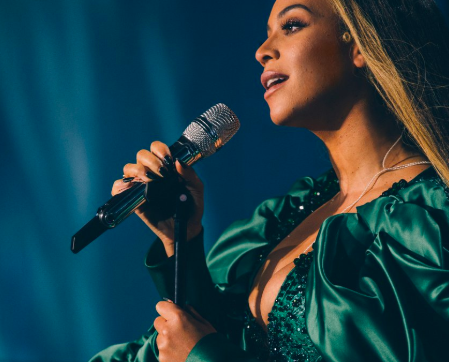 The green-beaded, shimmering gown was featured on Beyoncé’s website, where most of her exclusive content gets uploaded, under a segment titled Mandela 100: The Wardrobe. The segment features never-before-seen images of the outfits she wore on stage as well as some backstage shots in between performances. South Africans are also particularly excited about the fact that local photographer and stylist Trevor Stuurman was among the people hired by the Carters to take exclusive images of them for the concert. This is a pretty big deal when you consider the fact that media outlets were not allowed to film or photograph the couple during their set. Stuurman’s famous friends and fans took to the timeline to congratulate him for the opportunity. You did it AGAIN Trev!!! ???????????? Stuurman and Malelu are just a few of the locals known to have been hired by the Carters as part of their massive production.